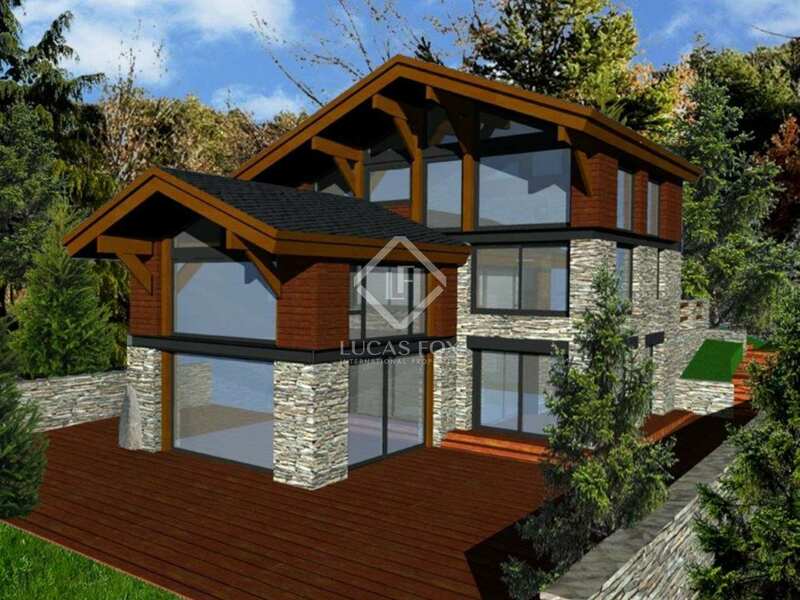 Magnificent contemporary-style villa with 3 bedrooms, located in a small and quiet urbanization of La Massana, a few kilometres from the centre of Anyós, with very few neighbours. 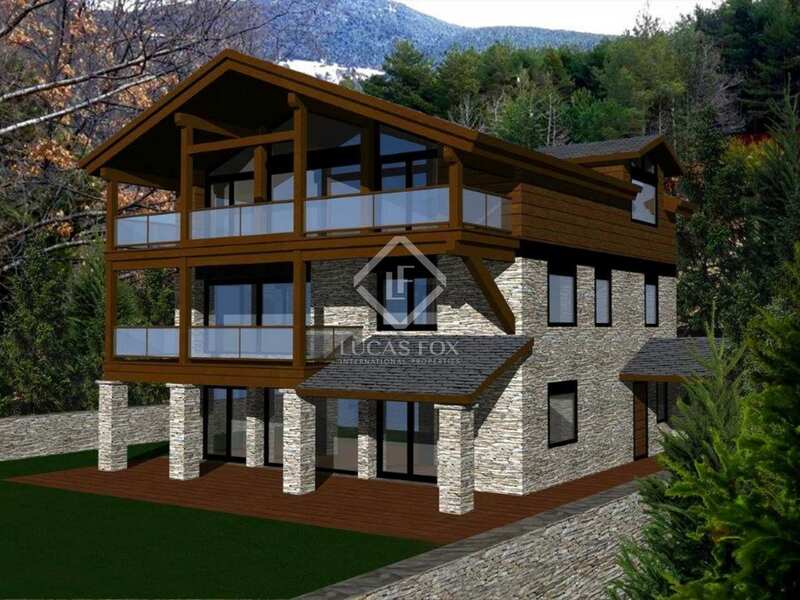 Surrounded by a magnificent pine forest, this house offers its inhabitants absolute tranquillity and magnificent views over the valley of Vallnord. 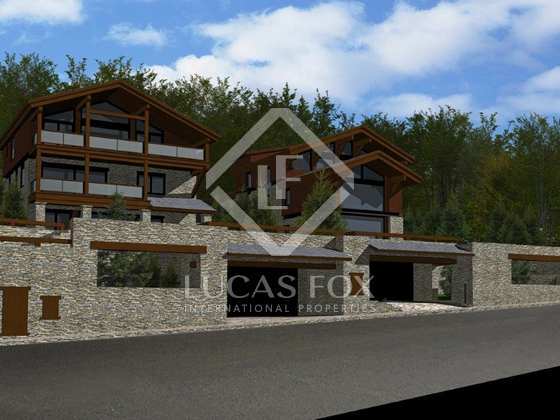 It is a 3-storey house built on a plot of 600 m². 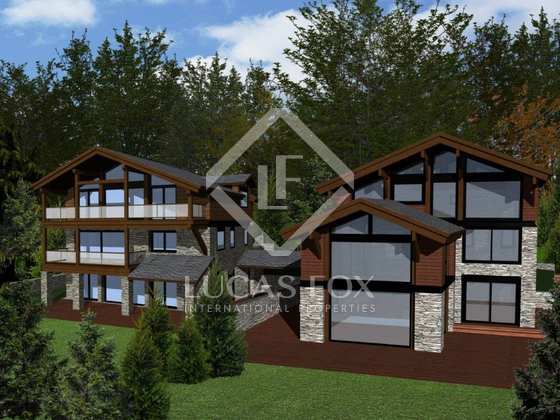 On the ground floor a garden surrounds the house and inside we find a magnificent lounge with large windows and a fireplace, along with a dining room that shares its space with the open kitchen with an island in the middle of the room and a large pantry with separate utility area. 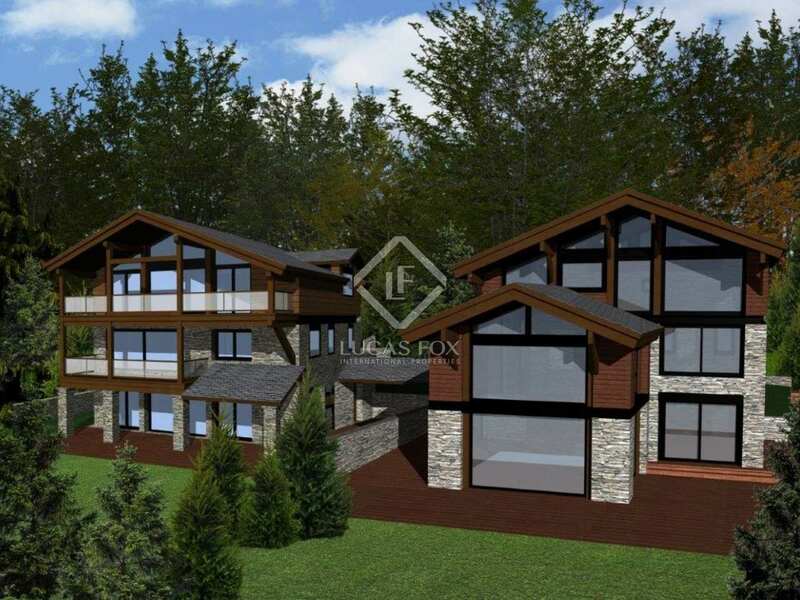 On the first floor are 2 large bedroom suites as well as a living room with large windows and mountain views. 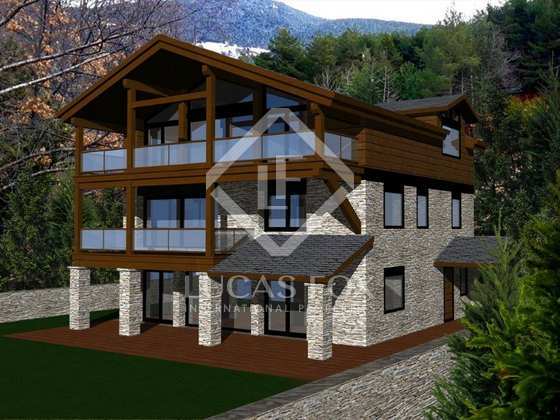 On the top floor is a master suite of 63 m² with its own bathroom and 2 large windows. 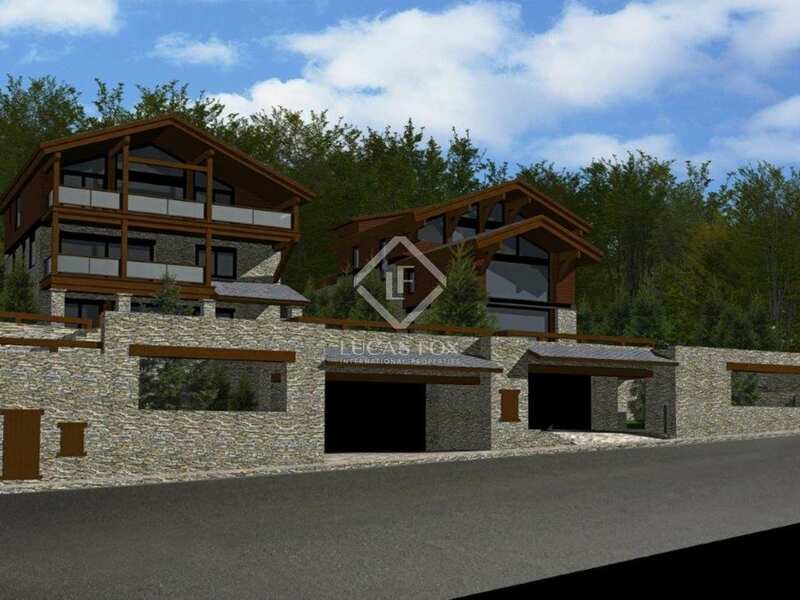 The garage floor has an area of 217 m² with capacity for 6 cars, with a machine room (elevator, geothermal energy equipment) and a hall and staircase. 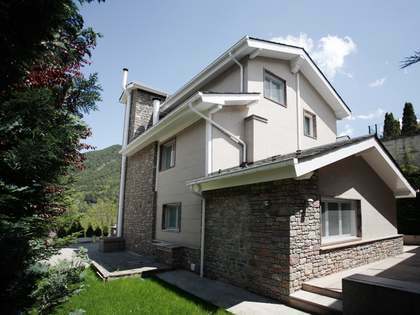 The materials and technology used are cutting edge and include the under floor heating with geothermal energy and windows and walls with excellent thermal and acoustic insulation. 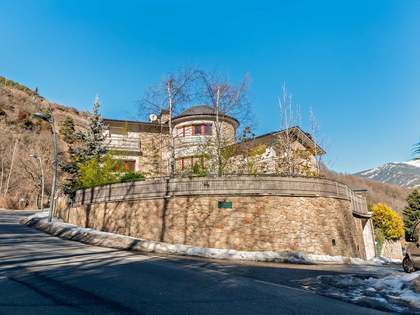 A magnificent modern villa near the best ski resorts in Andorra. 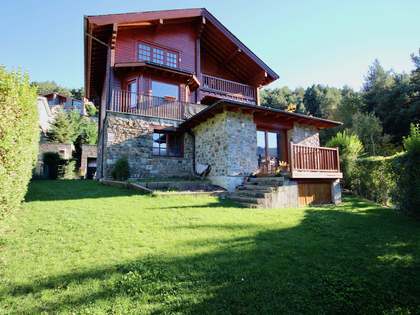 Villa in a peaceful little residential area of La Massana, just a few kilometres from the village of Anyós. 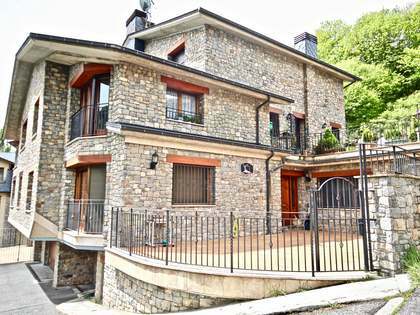 15 mintutes from Andorra la Vella and 10 minutes from the Vallnord and Grandvalira ski resorts.